How durable is it? How many seasons do you expect to get out of hair on deer clothing? Guess it depends on terrain and use, in my experience traveling through dense vegetation is rough on clothing, but such travel is not done often. 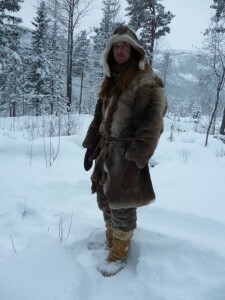 The other that is brutal for clothing is firewood cutting and handling and heavy building work. Not sure what cropped domestic reindeer fur means. 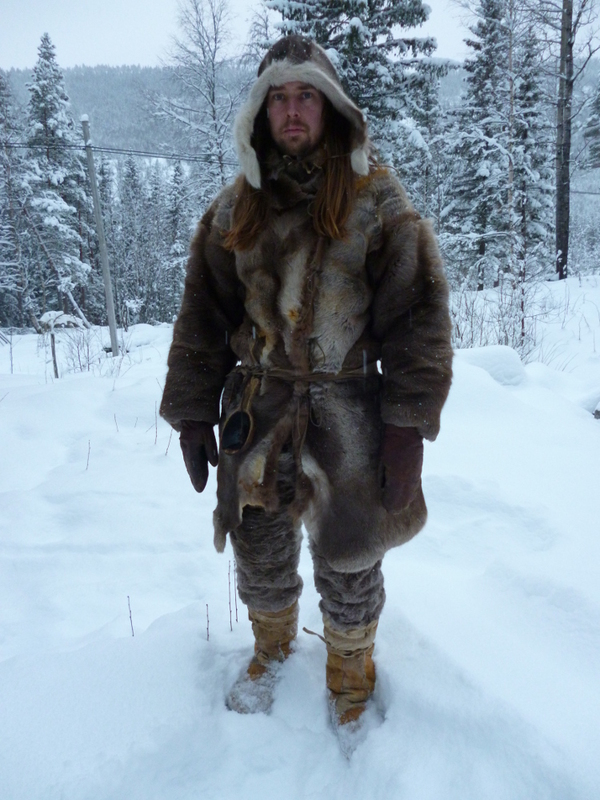 I understand that its from domestic reindeer fur… cropped means that hair has been sheared some to reduce weight? Do you crop\shear and dress the fur yourself or is it purchased dressed and sheared ? The clothing is pretty durable. Siberians who use this kind of clothing every day in winter use them for 4-5 years as winter clothing, and then reuses it a decade or more as summer clothing. The durability is because of the tanning methods. I take care not to crack the grain while softening. If you do, the hair can come out in bundles. Cropped means that the fur has been cut shorter. I always tan the skins myself. The shearing was done with a knife. Thats more then i expected, very impressive for bush use. Does cropping the hair make the garment less heavy, with only small loss of insulating value? What makes a piece of winter clothing become summer clothing ?Hair loss ?Is the hair shaven off after it becomes a summer piece? 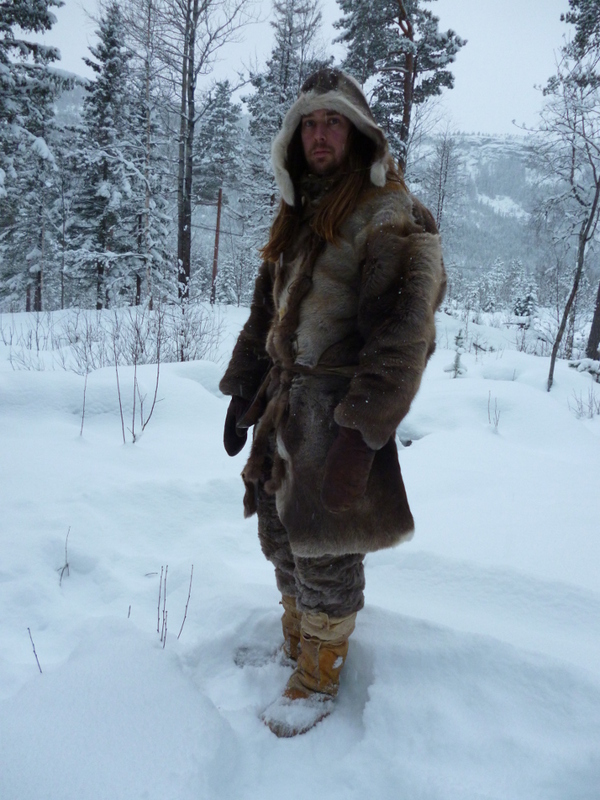 Did you ever make the inner parka? I’d love to see pictures of it. How many feral cat skins did you use?